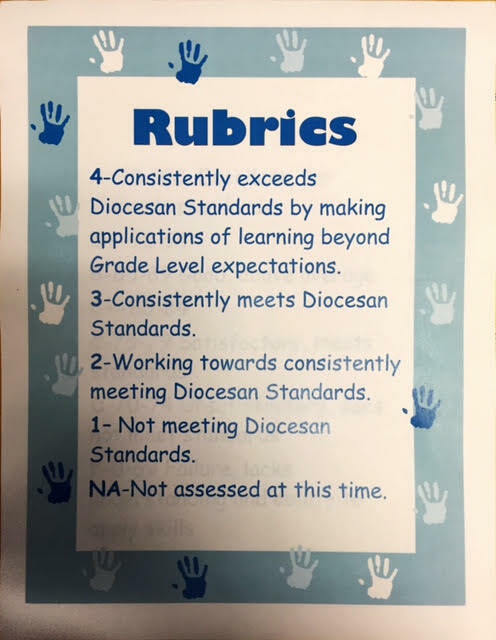 Students in grades K-3rd are assessed daily based on this rubric (above). Students in grades 2 and 3 also have a separate health grade as well as various other assessments throughout the year in physical education and health. Students in grades 4-5 can get a total of 20 points per day, not including other various assessments the teacher sees fit. That rubric can be seen above.